Recycling electronic devices is made easy and simple by All Green Electronics Recycling. We have top-notch E-Waste Management and Handling Solutions. Recycle, reuse or remarket your tech items that are already old and unused. Let us help you with this. Disposing of your old and disposable electronic products is our way to help protect Mother Earth. A certified Data Destruction service is what we can offer to the people here. Let us serve you now. The destruction of sensitive IT equipment such as hard drives and SSDs should be done professionally. The impacts of electronic waste products to the environment have been enormous. Old computers, mobile phones and other EOL IT equipment harm our environment and speedily cause the depletion of our remaining natural resources. Flora and fauna which are sources of our sustenance are affected by the toxic effects of cadmium, copper, mercury, lead, zinc, nickel and other metals present in electronic disposables. You need to act now. That’s why you have to try the Electronics Recycling Watsonville Services by All Green Recycling. Watsonville is a city in Santa Cruz County with 51,199 residents. It is a farming community and known for its strawberry, apple, blackberry, raspberry, and table mushroom crops. Located on the central coast of California, the farming industry here has been robust and it fuels the local economy. Instead of throwing away your e-waste items in a garbage bins, try one of our electronics recycling and management solutions. We crafted our ITAD programs for your satisfaction. We’ve been recognized as expert in the industry. So by trying any of our e-waste services you’ll never go wrong. Our main goal is to keep this place safe from the impacts of electronic junk. We are committed to provide you peace of mind. 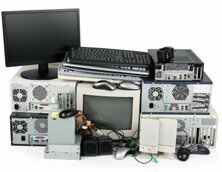 All you need to do now is schedule our charge-free electronic waste pickup. Or you can opt to find our nearest drop-off location where you can place your recyclable tech items. Because we’re a top-notch company, we assure you that our services (listed below) can address the e-waste issues you are encountering at present. Please feel free to contact us today for more details and information about our reliable services.